He has directed a Telugu film on treasure hunters, is the author of a well-acclaimed book called S.M.A.S.H Innovation, paints extensively, is a regular blogger on subjects as varied as carbon steel's India connection, how to prevent flooding of lakes and health care for the masses. As if this isn't enough, Gopichand Katragadda, the first chief technology officer (CTO) of the Tata group, has also been trying to decipher the Indus script. And to our consternation, towards the end of the lunch, he challenges us to a game of antakshari to show off his knowledge of Hindi film music, one of his favourite singers being Yo Yo Honey Singh. So when does he work for a living, we ask. The answer is prompt: "Weekends are more than enough. Besides, I do eight hours of intense office work every day. One can't be on a treadmill all the time and must pursue other interests in life and meet people outside work as well to become more efficient," he says. He has obviously walked the talk quite early in life. For example, while doing his MS and PhD at the Iowa State University in the US, he had ample time to be a radio jockey and represent Indian students. Among his other "major accomplishments" was getting to know a student of Masters in Electrical Engineering in the same university who became his wife. We are at the Vivanta by Taj-President's Thai Pavilion, which is Katragadda's favourite for two reasons: authentic Thai food and the ambience created by handcrafted wood walls. Our guest quickly accepts the chef's recommendation of prawn soup and chicken starters and the conversation shifts to the role he will be playing as the group CTO with the Tatas. 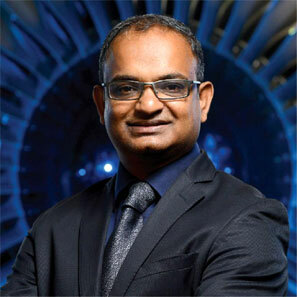 We are curious to know why the champion innovator, a reputation he earned in his former job as managing director of GE India Technology Centre in Bengaluru, chose to move to a newly-created position of group CTO in the Tata group. After all, he was heading the global conglomerate's largest R&D centre outside the US, employing 5,500 engineers and scientists. The centre produced 300 patents a year and, among other things, he spearheaded the development of low wind speed turbines that generates over $250 million revenue in India and $1 billion globally. He acknowledges the fantastic role GE has played in his career but says the brief he received from Tata group Chairman Cyrus Mistry, who was "born in the same year as he was in 1968", was exciting. "Cyrus told me he would like the Tata group to be in the top 10 technologically innovative companies globally," he says, adding that profits of the group in the future need to come significantly through technologically differentiated product and services. As the group CTO reporting directly to the chairman, he will have to play a pivotal role in that transformation. The group-level thought process is clear: focus on technologies that can impact "100 million people and have the potential of generating $100 million profit". The starters are quite heavy but the steward comes in with the main course - stir-fried rice and noodles with steamed fish and green curry chicken - provoking Katragadda to wonder whether sleeping would be a better option after the lunch. But such mundane pleasures of life are not for a man who has already toured almost all Tata group sites, with the exception of London, though he is just about five months into his new role. Katragadda has already identified his focus areas, all of which will be of interest to many companies. Energy security is one area, under which work will be done on better use of coal and better usage of waste by the group's power and steel plants. Work will also be undertaken on new forms of renewable energy and food security, which will look at sustaining the need of people in the future with the help of precision agriculture. The other area is consumer electronics, which will see 500 million new consumers in India alone and the effort will be to see how the group can cater to this population better. The last one is factory and fleet digitisation to reduce the cost and carbon dioxide footprint and increase yield. This is a humongous task and Katragadda says while there will be participants from different group companies, he will have to fill in the blanks of the missing pieces of capabilities. He is also in the process of setting up his research lab, preferably in Bengaluru or Pune (till the time his lab is ready, Katragadda will make do with tech-related graffiti on the walls of his second-floor office at Bombay House) and recruiting a team. About a month-and-a-half back, he ran the first CTO forum for the group with about 90 attendees including CTOs, chief information officers and the technical anchors of various companies. The two-and-a-half day session had technology road mapping, which some of the companies are already doing but many are not. Katragadda says India needs to break into the next waves of innovation and create wealth not just for a few years, or for a single company, but for hundreds of years and for the whole nation. "There is a quantum leap required in terms of our thinking," he said. For example, 125 years of American wealth is based on electrification. You have centralised electricity generation, which came up as a concept there. The Industrial Revolution created 300 years of wealth - and continues to create wealth - for the European nations. The digital revolution has created "wealth of nation" for both the US and Japan, he adds. If all this sounds a bit esoteric, Katragadda is quick to add that he is not interested in creativity for the sake of creativity alone, as whatever is done has to have a commercial benefit attached to it. The creative guys, he says, should be left alone as they need the freedom to break new ground. But the creative phase can't be infinite and at some point, the processes have to take over to ensure the ideas are brought to the market and are scalable. "Idea is important, but the other part is equally important. I have seen many entrepreneurs who are not creative people but they are hands-on people. They will take someone else's idea and make a fantastic business," he says. His role would be to identify the opportunities that are not yet tapped, bring in unique strengths of India there and also be the voice of reason, calling out areas that are already crowded, as there is no point in replicating something unless there is scale at which the Tata group can operate. As we are served jasmine tea to wash down the rather heavy lunch, we ask him why he did not turn an entrepreneur like several other tech brains of his age. Katragadda says he did launch a small venture in the US that was successful, but he closed it down. When he was trying to open an NGO in Bengaluru, he really struggled to get clearances. Since then he has settled for an intrapreneur's role. As we wait at the hotel portico for his Jaguar XF to roll in, he narrates a story that sums up his approach to technology. As a boy, one summer, he learnt to make soap from his English teacher, and then sold the soap to neighbours and friends. He made soap because he enjoyed the act of creating and he sold it because it was a validation that what he created had value. Deep down, Katragadda is still that boy who makes as well as sells soap.